Please don’t look at the calendar because if you’re anything like me (hopefully you’re not a bald middle-aged man who just bought his first pair of prescription glasses at Costco), you might have to rub your eyes a bit and shake your head after staring at the dates; winter sports in the TRAC are already on the stretch run and Valley playoffs will soon be upon us. And there’s quite a school parity in our three current sports: basketball, soccer and wrestling. The Clovis West girls basketball team is dominating on their way to an 11th straight league title (remarkable), the Central boys team is trying to fend off a hard-charging Clovis North (excellent), the Clovis East girls soccer team (incredible) is kicking you-know-what, the Buchanan boys soccer team (superb) is putting together another nice year and their wrestling team (out of this world) toppled perennial power Clovis in their dual match, ending their 91 dual streak in the TRAC. 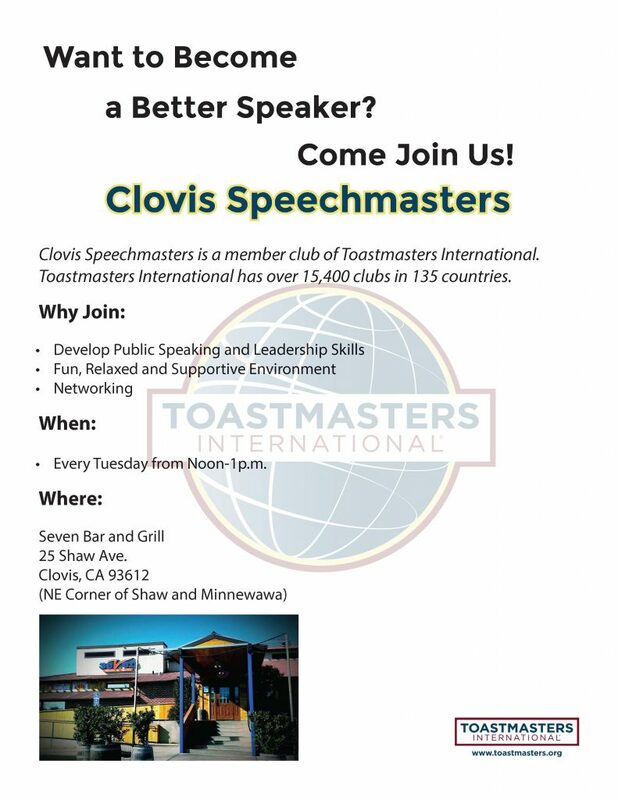 We try to cover all here at the Clovis Roundup, and consider ourselves an equal-opportunity publication. With that being said, check out some goings-on in the Tri-River Athletic Conference. A pair of year-round players are headlining the Clovis East girls soccer team’s best season in school history. When junior star players Nikki Crouch and Peyton Kwalwasser aren’t competing at the high school level, they compete as members of the Central California Soccer Alliance – a U-17 team coached by their high school head coach Jasara Gillette. Now, they are reaping the benefits of that experience. Both serve as midfielders/forwards for the Timberwolves but have different playing styles and use different approaches when on the field. Crouch said she relies on her speed and aggressiveness to move past defenders while Kwalwasser utilizes her technique and versatility. The T-Wolves have netted 57 goals this season with nearly half of those coming from the two juniors alone. Crouch and Kwalwasser have accounted for 43 percent of the team’s goals this season as they lead the Timberwolves in scoring with 13 and 12 goals, respectively. In addition to their scoring prowess, the two have also demonstrated ability to set teammates up for success as they also lead the team in the assists category with 10 apiece. Clovis East finished with losing records in Couch and Kwalwasser’s first two seasons, but now as the pair has grown, so have the team’s results. Both the coaching staff and players understand the position of the team but at the same time they want to approach this newfound success with a “one game at a time” mentality. The Timberwolves (15-0-2, 7-0) remain undefeated with three games to go in the regular season and figure to be the favorite to take home the Central Section Division I crown. 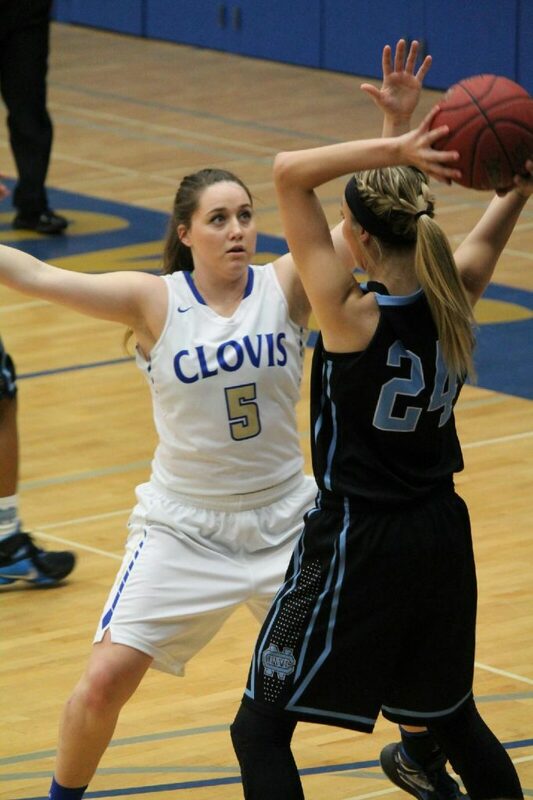 Clovis High’s Taytum Still takes on Clovis North’s No. 24 McKenna Graville in the Cougars win over the Broncos. Still scored 14 points on the night and hopes to lead her teammates far into the playoffs. The Clovis Cougars basketball team is putting together a very nice season, as evidenced by a 17-9 overall record. They even won the Buchanan Christmas Tournament and find themselves tied for second place with Central in the TRAC at 5-2 under first year head coach Greg Clark. They’re a disciplined bunch, run great set plays out of their offense and are quickly learning what it means to compete at a high level. And sure enough, Coach Clark has made sure his players understand the urgency at hand with the end of TRAC and playoffs right around the corner. And it was after a sluggish effort (ironically a 46-40 win) against Clovis East on Feb. 2 that Clark had some words of wisdom to impart to his team. The result: the girls responded with a 43-25 home victory over Clovis North. We’ve seen a couple of games this season and like what Clark is doing over at Clovis High – the future is in good hands to be sure. Caleb Kelly can add another award to his already prestigious career as he was named 2015 Cal-Hi Sports first team all-defense as a linebacker. Cal-Hi sports is considered the authority in California high school athletics. In addition to winning the Butkus Award, Kelly registered 115 tackles, including 23 for loss, and 21 sacks. He also scored 10 touchdowns on offense for the Golden Eagles. Kelly was joined by Clovis High safety and running back Josh Hokit as a member of the 3rd team. Clovis quarterback Sean Kuenzinger and Buchanan defensive lineman Bryson Young were named honorable mention. And in late-breaking news, Kelly was named as a Parade High School All-American. There are 25 total players who made the list nation-wide. The hits keep coming for Kelly. The points and the wins keep piling up for the Clovis West girls basketball team, and they are fully loaded heading into the final three games of TRAC and beyond. The Golden Eagles are 23-3 and 7-0 in TRAC and have garnered national attention with their No. 20 spot in USA Today. And because I’m a numbers guy, I crunched some for your enjoyment; in the team’s seven league games they are averaging 74 points and giving up 30. Yep, an average score of 74-30. There are many reasons for the Eagles success, so many they could fill up a book but one is for certain: they have an incredibly balanced team. For example, in their 89-34 trouncing of Central freshman Madison Campbell (Coach Craig Campbell’s daughter) hit eight three-pointers, Sarah Bates scored 16, Megan Anderson 14, Aysha Kirkland 10 and Bre’yanna Sanders 9. And the team couldn’t run any smoother without the point guard play of Danae Marquez.